Coming in 2016 there will be a series of Battlefront expansion packs that will be available to purchase, or download if you already have the season pass, and there are a few things that we can expect when they do begin to make them available. Electronic Arts has provided some details about what we will find in the DLC’s when they begin to release them as early as next year. Some of the things that Battlefront players can expect are some new weapons, heroes, maps, and even some game modes. Since there are 4 expansion packs, the math breaks down pretty easily in order to figure out about how much new content we can expect per DLC, assuming they split up the content evenly. So per DLC we can expect a combination of about 5-6 weapons, vehicles, and Star Cards, a new game mode, 4 more maps, and possibly a new hero or villain. They may release the heroes and villains in pairs to keep it even, so that may happen in every other expansion pack release. The timing of these releases can also be estimated since there are going to be 4 expansion packs, so it should break down to about one every 3 months or so. The first one has been announced as “early 2016”, so look out for it to be released sometime from January to March. That is not confirmed, but I think we can expect the first one to arrive before March of 2016. The first expansion pack will be released in early 2016. 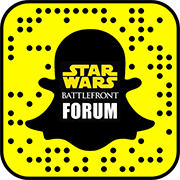 Stay tuned for more details on Star Wars Battlefront Season Pass in the coming weeks. The exact Star Wars related content of these expansion packs is still unknown, or which trilogy they will be focusing on. We could see the Death Star as a new location with maps associated with that, or possibly Cloud City. We could even have some maps and updates that bring us back to the planet of Naboo with the city of Theed. While many of us were expecting something related to The Force Awakens, that looks unlikely now. What do you think we can expect in either the first expansion pack, or even some subsequent DLC’s? Do you think we will see the Death Star in the next release? Let us know what you think by dropping us a comment below, or feel free to stop by our forum to leave your thoughts.